Reigning Moto2 world champion Johann Zarco has found the form that’s been missing from his performances in recent weeks to top the opening day of practice for the championship’s first trip of 2016 to Italy. He was only a fraction ahead of Sandro Cortese, leading the German by 0.049 on his return from the knee injury that saw him sit out the French round of the series, while Takaai Nakagami rounded out the front row of the grid. Franco Morbidelli was fourth, with Hafizh Syahrin a surprise fifth ahead of Lorenzo Baldassarri – but with less that 0.2 covering the top six. 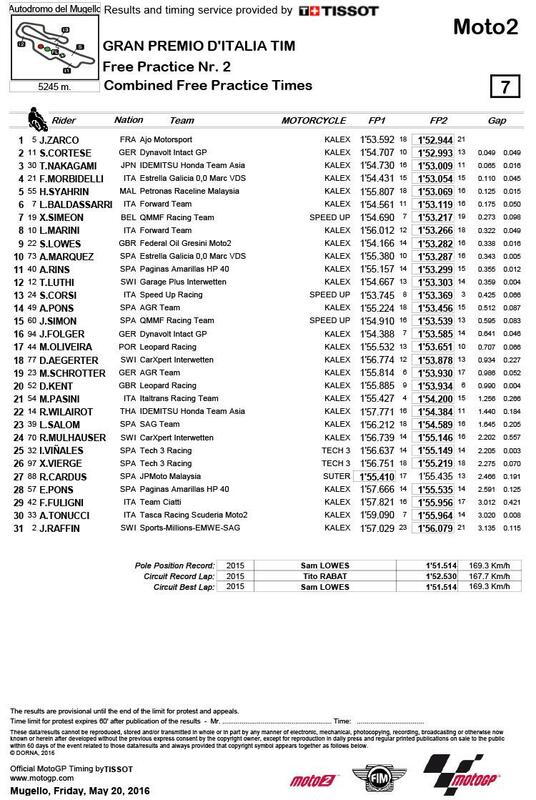 Brit Sam Lowes was behind Xavier Simeon and Luca Marini in ninth, after working during the day’s two sessions to improve the bike. 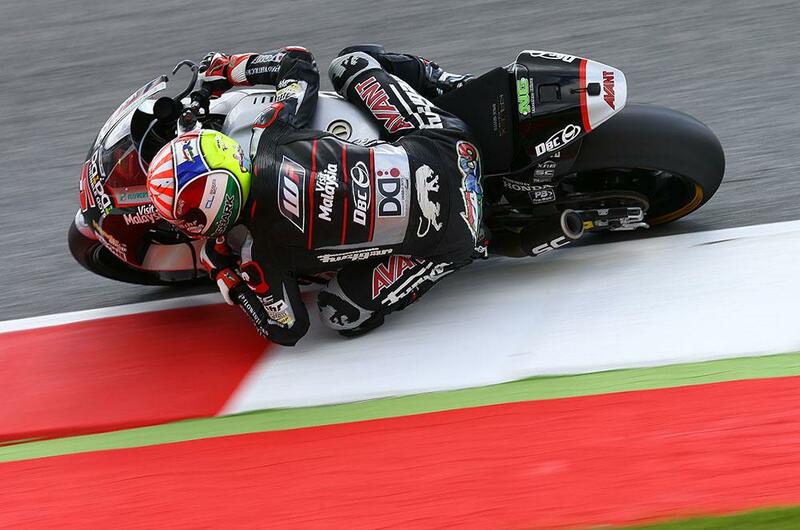 Fellow Brit and reigning Moto3 champion Danny Kent was 20th.